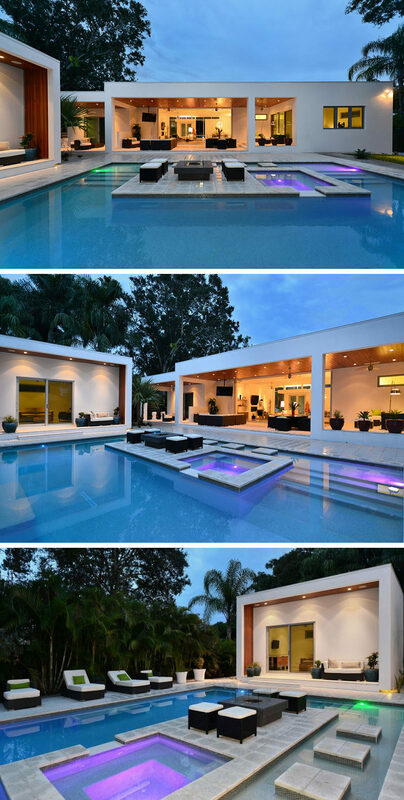 Wouldn’t it be nice to relax, dine, and entertain while being completely surrounded by water? 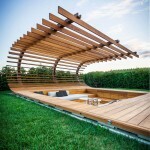 By including a platform in your pool, you can. This creative design detail takes party hosting to the next level and can be a great way to take advantage of incredible views. 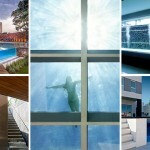 Here are 6 examples of pools in both homes and hotels that have island platforms. 1. This platform in the middle of a pool at the Mandarin Oriental Hotel in Bodrum, Turkey lets you enjoy the views of the sea out in the distance without having to get in the water. 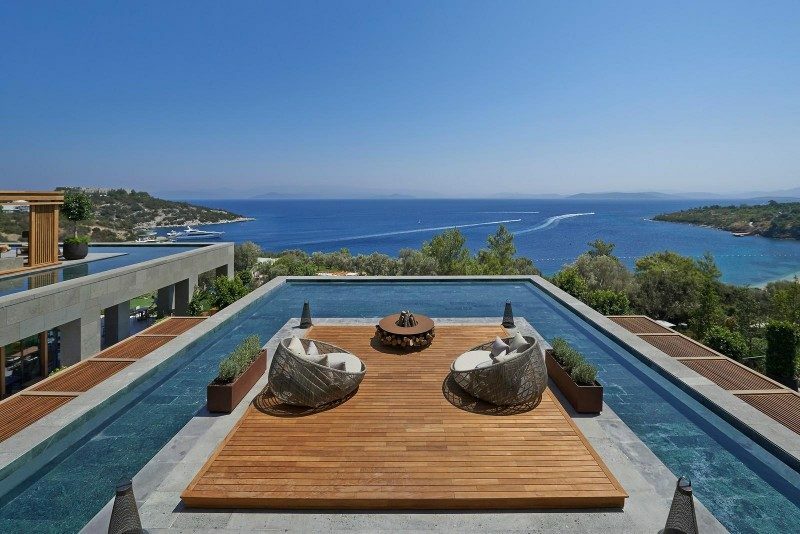 Inspiration from the Mandarin Oriental Hotel in Bodrum, Turkey, designed by Scape Design Associates. 2. Floating steps guide people out to the secured platform in the middle of the pool to create a unique dining or lounging experience. 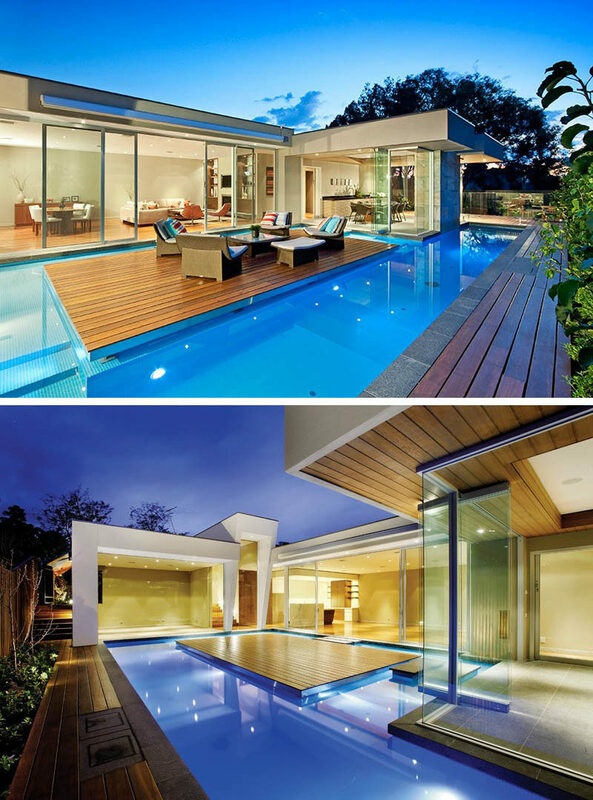 Canny Architecture and Integrated Pools designed this floating deck in a pool in Melbourne, Australia. Photography by DPI. 3. 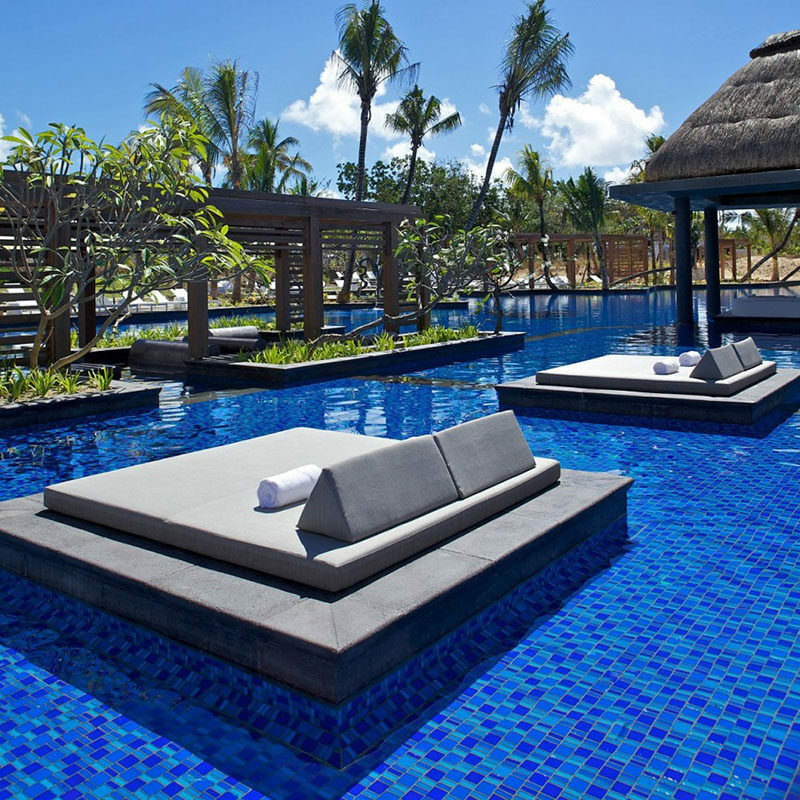 The platforms in the pool at the Long Beach Hotel in Mauritius have cushions, pillows, and towels on them to make lounging in sun that much more comfortable. Inspiration from the Long Beach Hotel in Mauritius, designed by Keith Interior Design and Stauch Vorster Architects. 4. The platform in this infinity pool sits right at the water level to maintain continuity and create a relaxing oasis to retreat to. 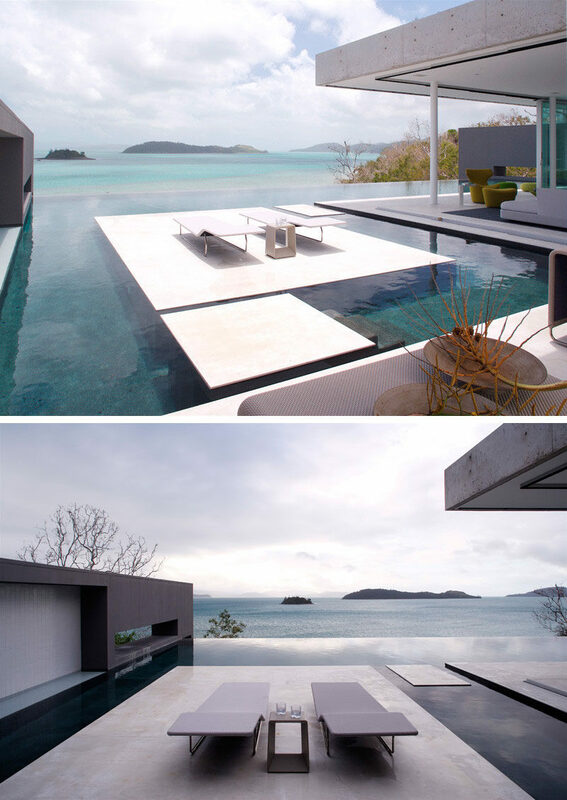 Renato D’Ettorre Architects designed this modern house on Hamilton Island in Australia. Photography by Francesca Giovanelli. 5. 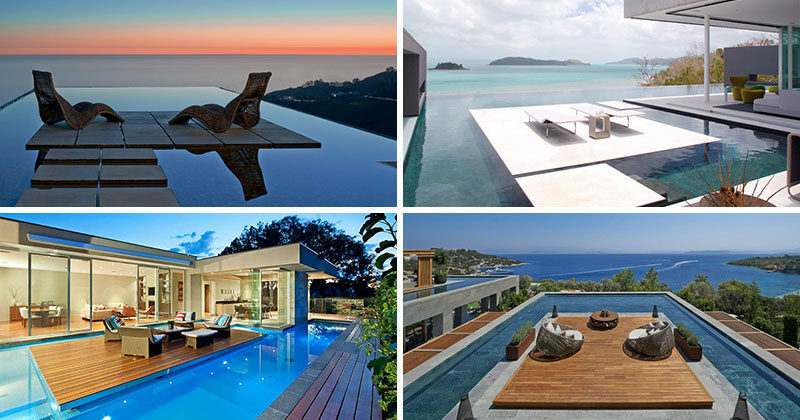 This rooftop pool features interlocking stones that create a raised platform in the middle making the most of the incredible ocean view. 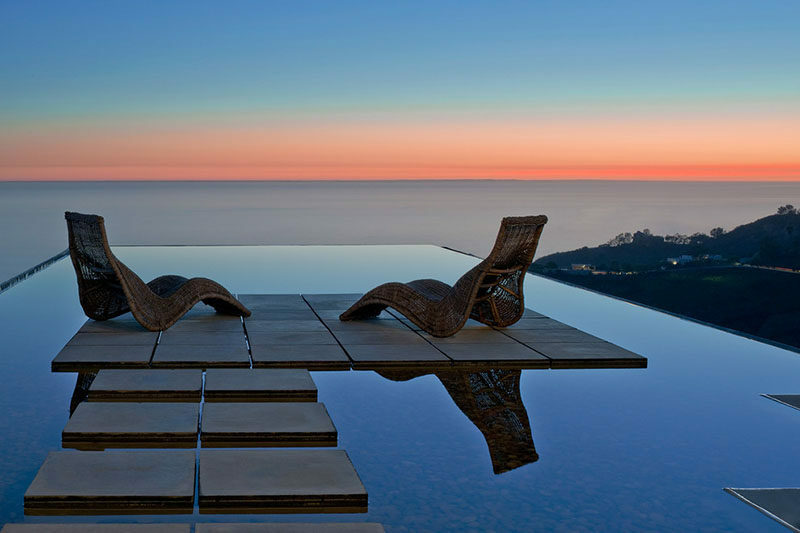 Inspiration from a home in Malibu, California, designed by Busch Design Build Inc.
6. The platform in this pool can be reached by means of the steps that lead from the main pool deck, from the hot tub, or by swimming up to it. Inspiration from a home in Tampa, Florida, designed by DSDG Architects.